Humans come in all shapes and sizes. 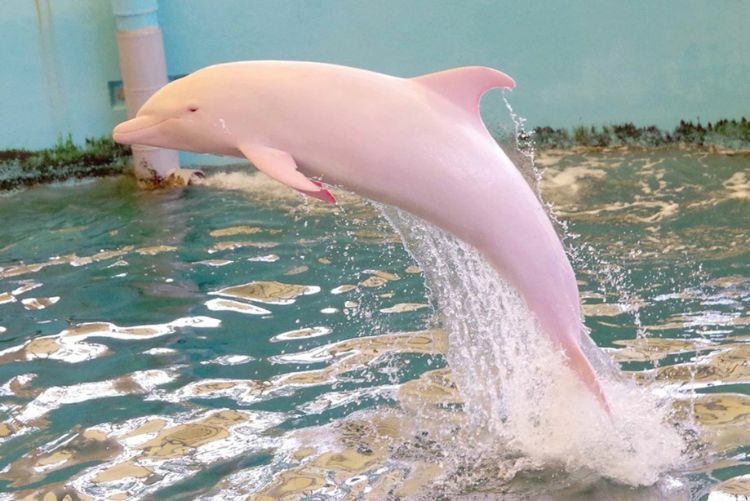 Dolphins, however, usually look fairly similar, especially their coloring - except for this beautiful, unique, and very rare dolphin. 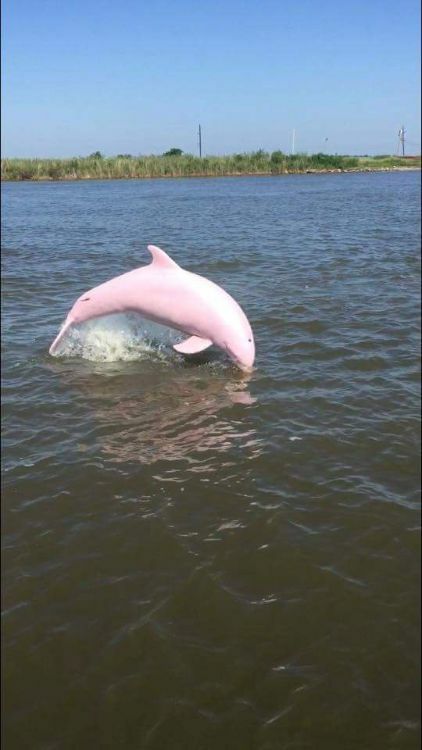 That's what a few boaters discovered when they saw this shiny pink dolphin off the coast of Louisiana! Now that people know she's out there, it's a treat to get to see her. Captain Rue, the first to discover her, charters his boat out so people can try and catch a glimpse. He says that as soon as she's sighted, everyone whips out their phone and tries to take a picture. It's not a surprise! She's truly beautiful, and surprisingly, they have no idea why she's that unique hue. 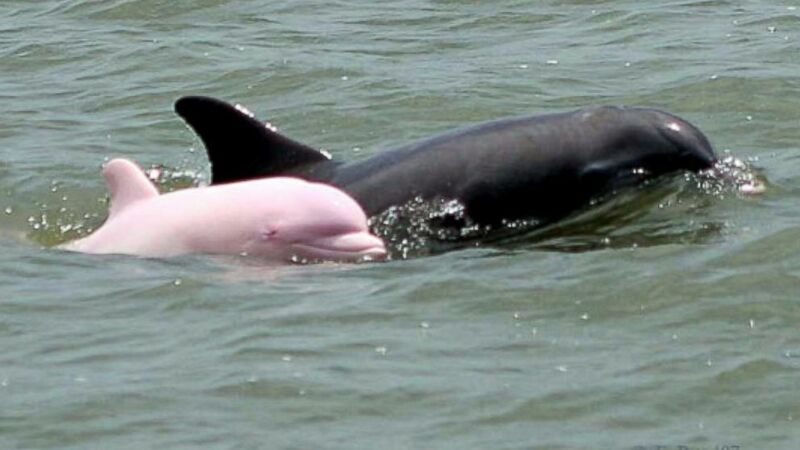 Unsurprisingly, however, she has the perfect name: Pinkie. 2. Enough pictures have been taken to confirm that she's female. 3. 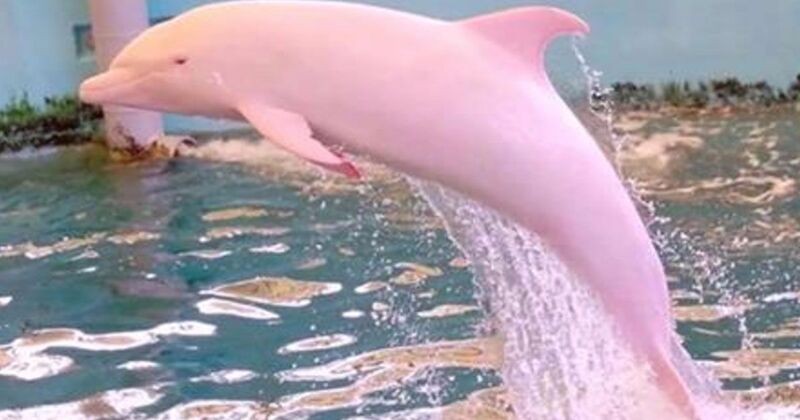 Surprisingly, they don't think she's albino. 4. 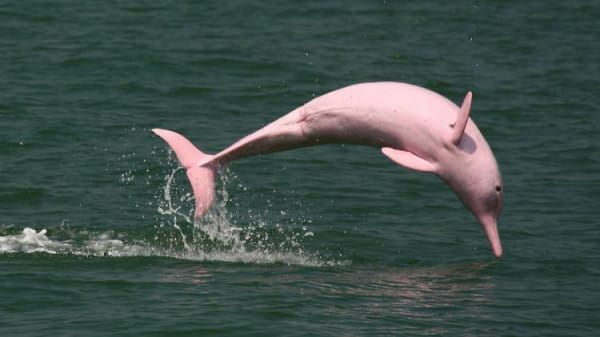 She's the only known pink dolphin. 5. People charter the boat of the original captain that spotted her to attempt to get a glimpse for themselves. 6. She was spotted mating...Any guesses what color her calf will come out? 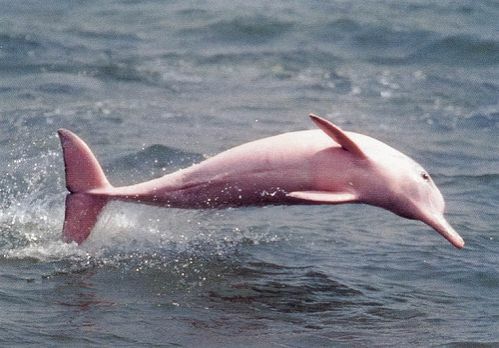 We hope you enjoyed those pictures of such a rare and amazing animal. 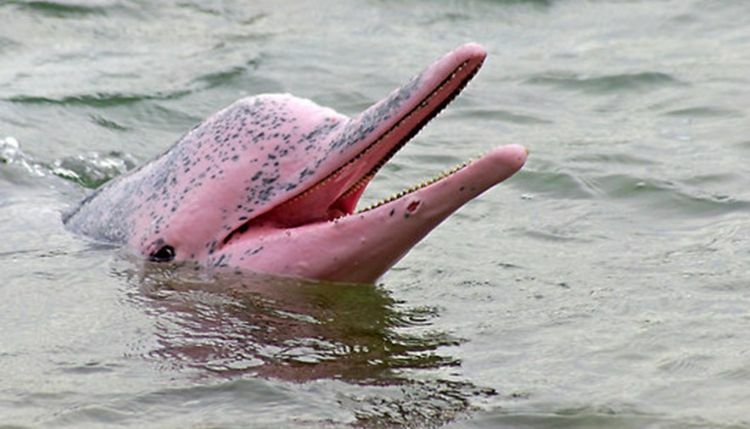 Share this with your family and friends that don't know some dolphins come in pink!